PHILADELPHIA—City Council made big news in early December when it passed a Fair Workweek bill. 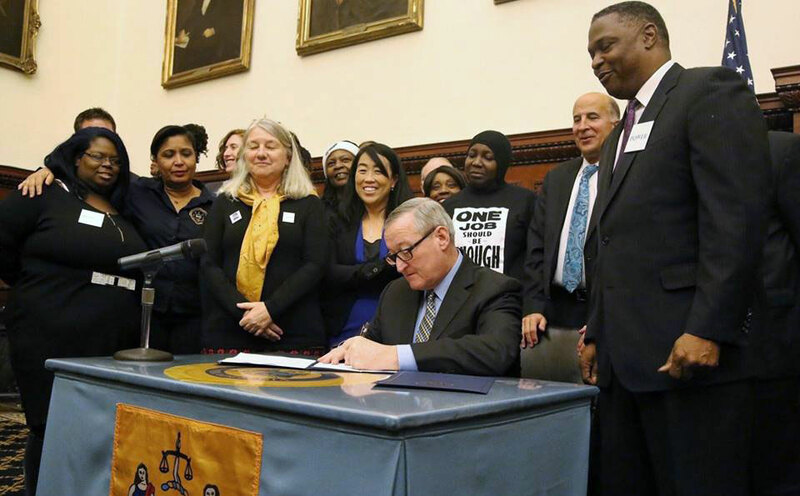 Philly now joins Seattle and New York in enacting worker-friendly wage bills. The legislation, much like others being introduced across the nation, will increase the minimum to $15 and require employers to practice fair scheduling. It is estimated more than 130,000 workers in the hospitality, fast food, and other sectors will be positively impacted. For many years, arbitrary company work schedules have hurt workers ability to be with families and plan other life activities. Philadelphia, the sixth largest city in the U.S., with a population of about a million and a half, tops the list of the nation’s poorest, with more than half the city’s workers living at or below the federal poverty guidelines. As federal funds aimed at keeping peoples’ head above water disappear, poverty deepens and the need for action by local government increases. 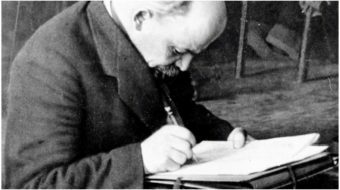 A $15 minimum wage and rules governing scheduling and workers’ hours have all long been union demands. In Philly, they’re now the law. The new regulations will govern organized as well as not-yet-organized workers. Councilwoman Helen Gym leads the fight to win the vote, which came in at 14 to 3. The long campaign had the full support of the city’s AFL-CIO, Service Employees International Union (SEIU), Unite-HERE, Food and Commercial Workers, POWER (a coalition of clergy and community organizations), Neighborhood Networks, Reclaim, and a host of others. A coalition of more than 60 organizations, local unions and councils, advocacy and community organizations rallied to support the measure. The Black Clergy of Philadelphia made themselves heard from the pulpit as well as in city hall as the effort to pass this legislation progressed. The coalition flexed muscle early, showing broad support of rank and file workers for the legislation. By late fall, as City Council scheduled hearings, workers from fast food, hotels, and community organizations filled council chambers with chants and signs gaining media attention. The effectiveness of the working coalition was such that Councilwoman Gym issued her annual holiday fund appeal to constituents asking them to make their contributions directly to participating organizations. Gym will be a candidate for re-election in 2019. Broke in Philly, a local newsletter put out by a consortium of 21 media outlets, reported that the legislative hearing on the bill heard no councilperson speak against the legislation. That despite three nay votes in the final December tally. Opposition to the Fair Workweek bill was organized by the city’s Chamber of Commerce and a hospitality industry organization. They pushed several amendments designed to weaken the bill. One posited that union workers should not be covered. The effort of top labor leaders helped to quash that proposal and others unfriendly to workers. Broke in Philly, meanwhile, interviewed housekeepers seeking passage of the legislation who talked about their desire to win this legislation for the families especially the children. Predictability has become a watchword for supporters of the measure; they wanted legislation that signals commitment to overarching wage and hour issues. With city council’s measure, they’re getting it. Under the new legislation, workers will get eight hours notice of extra-time or overtime shifts. Regular scheduling notice of upcoming shifts is set to ten days immediately, moving eventually to 14 days. Effective January 2020, the legislation will increase wages each July 1 until 2022, when $15 will be the minimum. Pennsylvania’s state minimum wage is $7.25, while Philadelphia’s minimum for city workers and sub-contractors rose to $12 in the past few years. These figures go a long way toward explaining why Philly has for so long been high on the list of poverty cities.